Samantha’s traveling cat circus experiences financial hardship. Part of DOC NYC. Samantha Martin has been training animals since she was a kid. 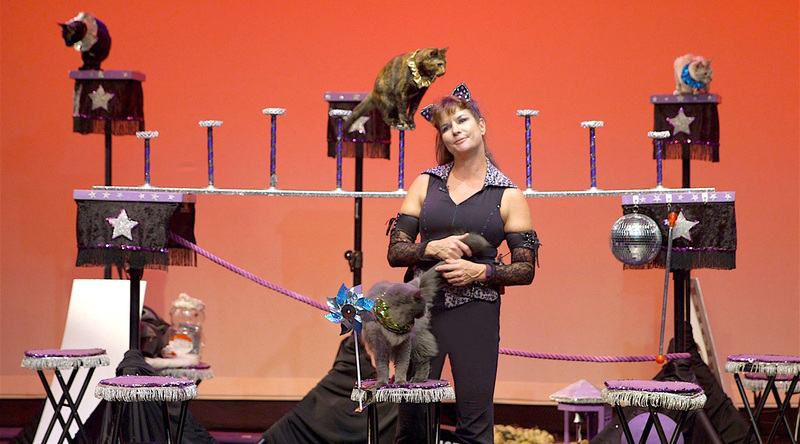 Spurred by a midlife crisis to quit her day job, she creates The Amazing Acrocats, a traveling cat circus. But driving around in an undependable RV full of moody felines isn’t as glamorous – or lucrative – as it sounds. As debt mounts, and success seems elusive, how long can Samantha hold out for circus stardom?